The Virginia State IBO Championship and IBO World Championship qualifier is in the books for 2017. 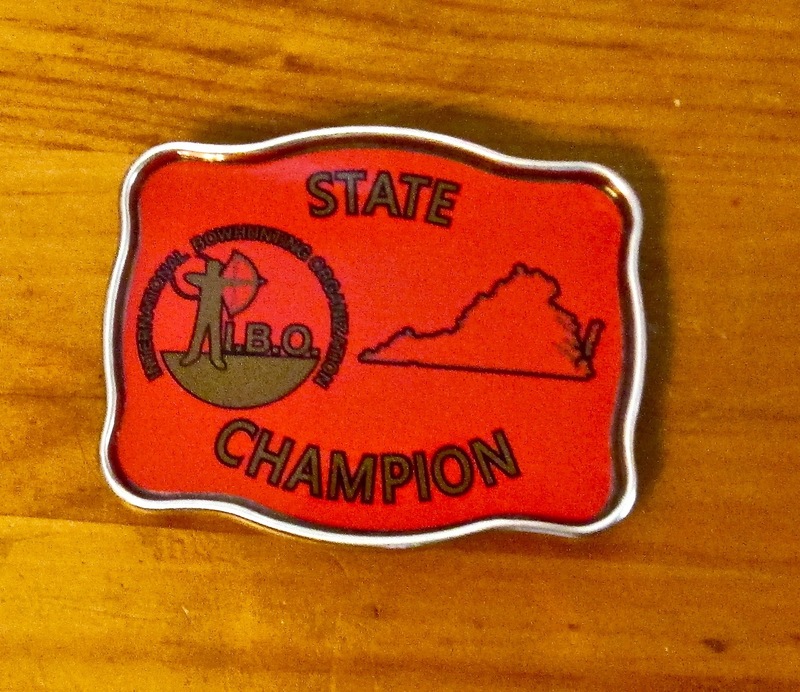 The Augusta Archers near Staunton, Virginia hosted the tournament. The event attracted a large number of shooters, I was among them. 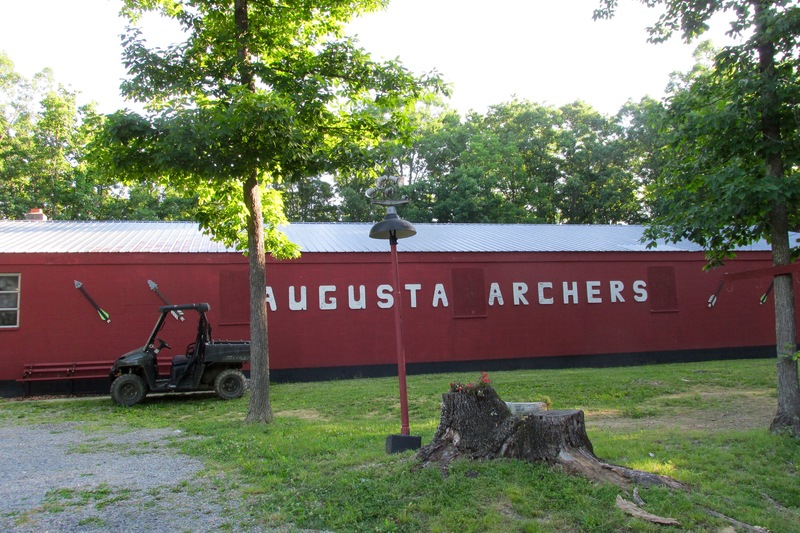 The Augusta Archers have an excellent place for an outdoor range. Their land is a thickly covered hilly old Southern forest. Old is a guess based on the number of hardwoods on the property. It was certainly a hilly course located between the scenic Blue Ridge and Allegheny Mountains near the heart of Virginia’s Shenandoah Valley. My campsite for the few days I was there was just off the Blue Ridge Parkway. 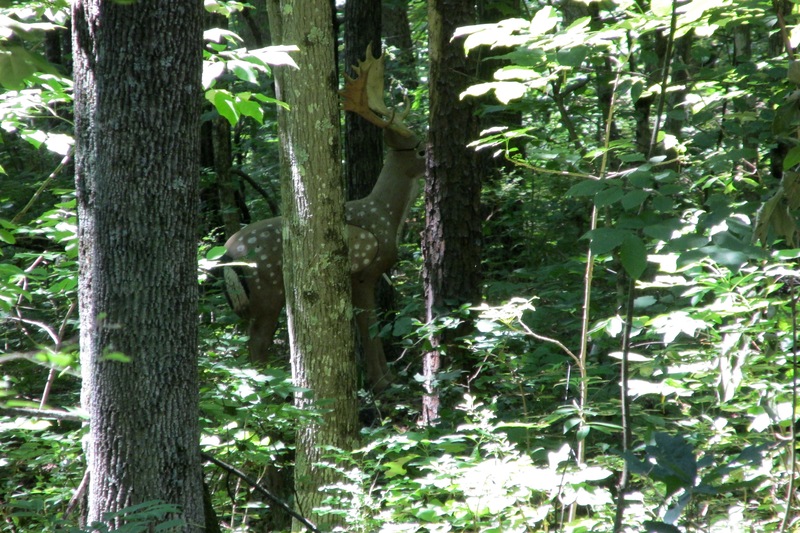 As dense as the forest was the ticks, mosquitoes, and other insects were not a problem – a pleasant surprise. The hills, I knew were going to present a challenge for me since 99% of all the 3D targets I’ve ever shot are on flat land. The Augusta Archers’ range did not disappoint. All targets were placed to make them interesting and realistic. Clearly, a lot of thought had gone into the arrangement. I love shots like this one. This photo is zoomed in so you can see the animal. It took us a few minutes to locate it from the stake. If I recall I shot it for 33 yards and got a 10. Of course, the range designers set it up to give us a few brainteasers. One of the best was a two shot sequence. The first was a huge bedded elk. 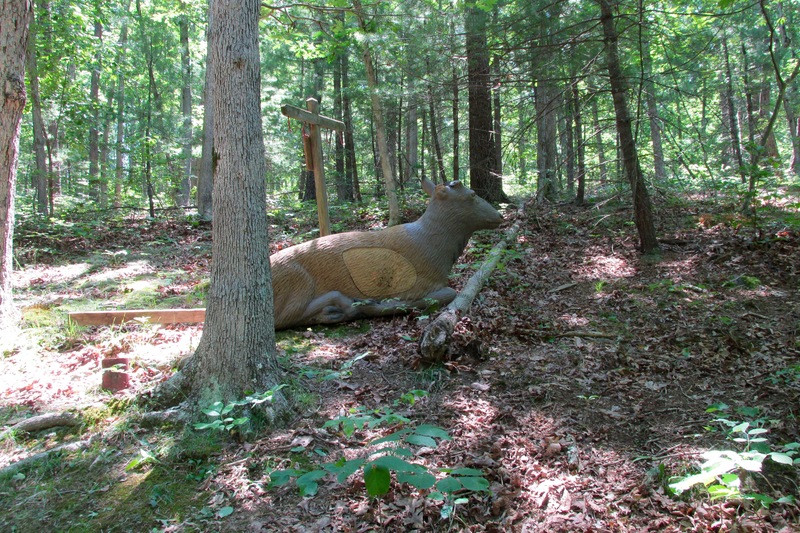 The elk was placed across a deep gorge. 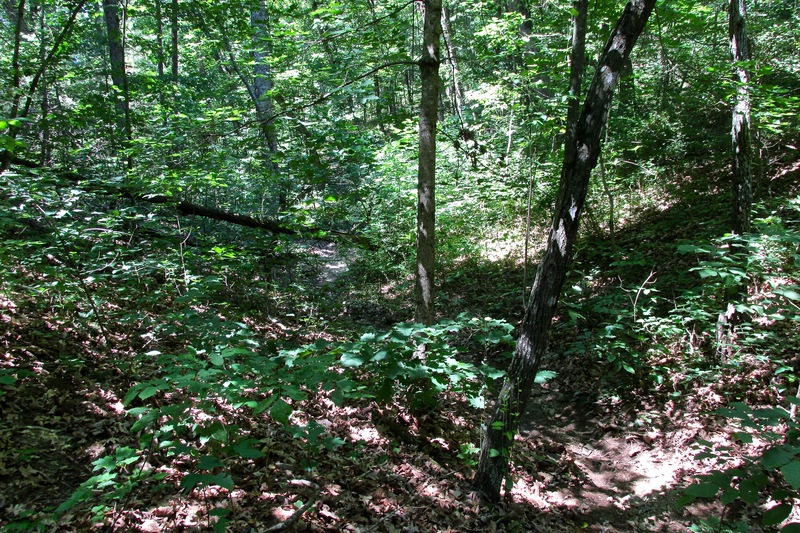 From the shooters’ stakes the terrain dipped down the steep ravine of around 20 yards in depth. The elk was then sitting 10 yards up the other side between 32 and 43 yards from the archers in my group depending on their class. 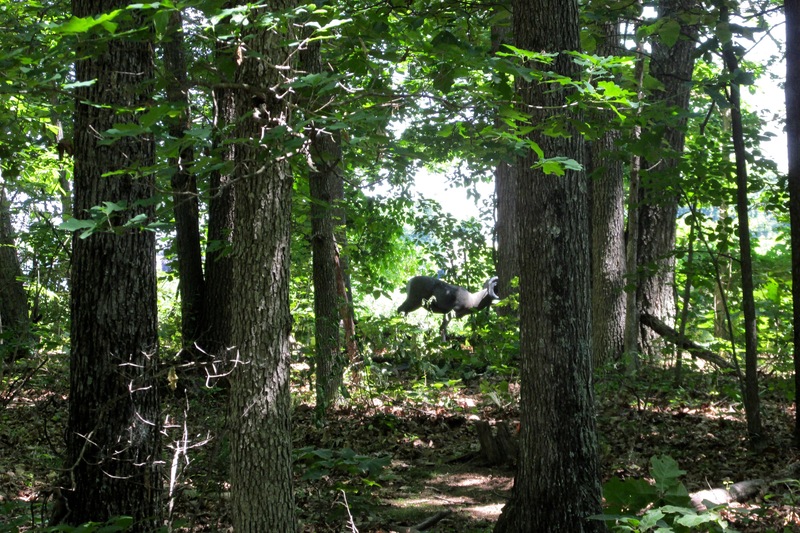 The next target was a turkey staked around 24 – 32 yards away standing on rocks in a small stream. From huge to small the targets made you think. Aside from me the group I shot with consisted of a mother/daughter team in the FBO class, Ginger and Sarah, respectively. Jay, an advanced hunter class shooter completed our quartet. Zoomed in to see the target. It was close, 27 yards. The angle and trees make it interesting and fun. The range was large. Our group was the second out in the morning on Sunday. We were never forced to wait for a target and moved along without stopping other than to shoot. The 30 targets still took over four hours to complete. There was a lot of walking. This is not a complaint. The land was so picturesque the trek is worth repeating. Part of the slowness was time lost to hunt arrows that missed the mark. As tough as the course was I was happy not to have been one of those that ended up with a zero. Aside from the misses I witnessed, I heard a few other arrows zipping past their intended goal and banging off trees. So, the course was hard, but certainly manageable and every target had a very clear line -even if it at times it was tight. Ideal to sort out archery skills. For me, where I had shots that I wanted to take back it was never the distance, target, or its location. My biggest problem was the lack of experience aiming and balancing on ground that wasn’t as level as I am used to standing on when shooting. After the last target, a badger on stake 30, we returned to the clubhouse and submitted our scorecards. There were two officials laboring over a pile of scorecards, papers, forms and documents. It was impressive how much paperwork goes into managing a competition such as this tournament. I, for one, appreciated their hard work. It was a challenging and beautiful course. If there’d been time, I would have enjoyed shooting it again for fun. Seriously, one of the most beautiful ranges I’ve shot. The 2017 Indoor Archery season is done, at least for me. There is a National 5-spot tournament in Cincinnati, Ohio in a few weeks. Five-spot targets are fun – the X ring is huge! But, it was not on my 2017 plan and as tempting as it is I am sticking with the plan. The plan now moves to 3D. At the moment, however, it is a scheduled break and recovery period. My bow is sitting a few yards away and targets are not much further away. I’d like t go shoot, but I’m sticking with the plan. Tomorrow starts a little active recovery – kayaking followed by fishing. 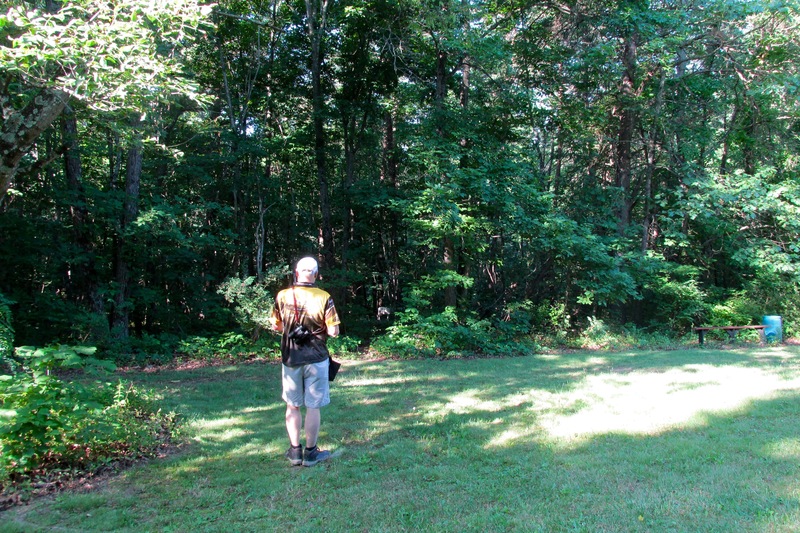 Then, this coming weekend I’ll pick up a bow and head out to shoot in a 3D contest totally unprepared. By that I mean having not shot a bow in six days prior to the tournament. It’s not my first 3D tournament of 2017. Thus far, I’ve shot in two with minimal preparation and using a back-up bow. They were on the plan and considered exclusively for fun events. For the past few months, practice has been intensely 18-meters. Looking at the 3D season and the goals for 2017 I’ve had to make adjustments. Specific tournaments, when the schedule finally appeared, fell during times where Brenda, my wife, and I planned family outings. To make adjustments I found other similar events to take the place of the original. The past four hours have been spent working on scheduling and registrations. The 2017 plan, now revised, is complete through August. August was tough. There’s the ASA Classic the first weekend and the IBO World Championship the next weekend. That’s a lot of traveling to shoot at both. The IBO is closer to home. I chose the IBO.